When to get an Attorney for a car accident? 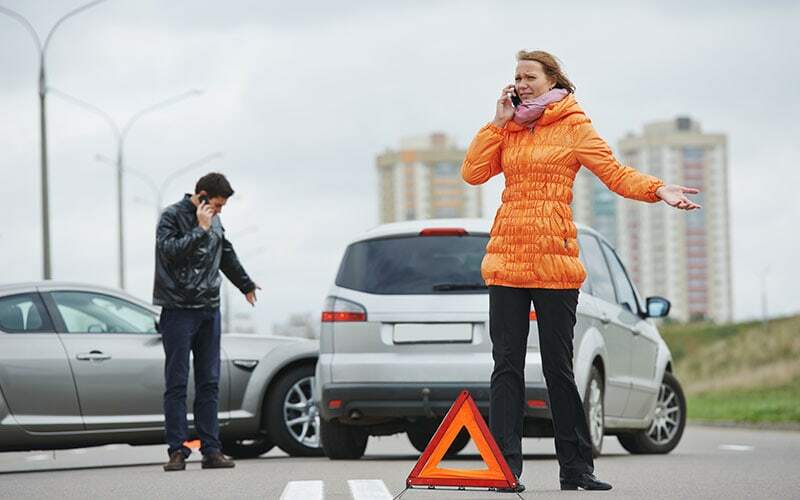 While you may be able to handle a claim for a minor car fender-bender on your own, there are certain times when it's best to trust a professional. If you are wondering “Should I get an attorney after a car accident?” Read on for specific situations that suggest when you should consider hiring a lawyer to fight for you. Car accident injuries can vary widely. You may suffer a relatively minor accident that results in scrapes or contusions. You could also suffer a life-altering condition like head trauma or even paralysis. Some victims also suffer emotional harm. Insurance companies will often try to offer a settlement that does not fully compensate you. You may not realize the full extent of your injuries or you can underestimate their financial cost. A well-qualified auto accident lawyer is familiar with these types of cases and can account for the full extent of damages. Another important time to consider hiring an auto accident lawyer is if liability is unclear. There may be multiple vehicles involved or a defective auto part may be partially to blame. The insurance company may try to blame you. An auto accident lawyer can investigate your claim to determine the responsible party or parties. If the automobile accident took place in an area that involves certain rules, you may want to hire a lawyer. He or she can investigate your case and find out if the other driver received a citation for driving mistakes in a special area such as a construction zone or school zone. You may also want to consider getting an attorney if the accident report contains errors or information you received from the insurance company is inaccurate. Your car accident lawyer can review these communications for errors, such as the insurance company denying your claim based on facts that do not apply to your case. Your auto accident lawyer can take steps to correct misinformation. If the insurance company denies your claim, it is time to contact an experienced car accident lawyer. He or she can pursue a case against the defendant and fight for maximum compensation on your behalf. What Do I Need to Know About Car Accident Lawyer Fees? An auto accident lawyer will usually take cases on a contingency fee. This means that the lawyer’s fee is contingent on securing compensation for the claim. If your case is not successful, your lawyer doesn’t get paid. This puts a lot of risk on a lawyer because they may put in a lot of time on a case and not get paid for the work. If your auto accident lawyer is successful, he or she receives a percentage of the award. The amount that a lawyer receives depends on the retainer agreement. This contract will state the percentage your attorney gets from the settlement. For example, if he gets 1/3 and your settlement is for $100,000, the lawyer would get $33,333 and you would get the rest. Some clients are concerned about paying attorney’s fees and may think it is better to pursue the claim on their own. However, when experienced attorneys advance legal claims, they are more likely to be approved and to receive a higher amount of compensation. If you have decided it's time to obtain the services of an attorney, turn to the Graham Law Firm. It is never too soon to contact a lawyer after a car accident. We offer a free, no-obligation consultation. Our compassionate auto accident lawyer will listen to your story and give you an honest assessment of your case. The Graham Law Firm is a personal injury law office that serves Griffin, Marietta and most of metro Atlanta. We are very familiar with car accident cases and our attorneys can help you navigate a personal injury claim. We will fight for your best interests and maximum compensation. Contact us online or call us at (404) 526-9955 to schedule a free and confidential consultation. Disclaimer: This information is provided for your information only. It is not legal advice and should not be used as such. Results obtained previously do not guarantee any outcome. This information does not create an attorney-client relationship and reading and using this information is not the formation of an attorney-client contract. Contact our personal injury law firm today to schedule a free case review. Speak with a seasoned attorney to discuss your case today. We have 2 personal injury law offices: Marietta, GA or Griffin, GA and we represent clients all over the state of Georgia.